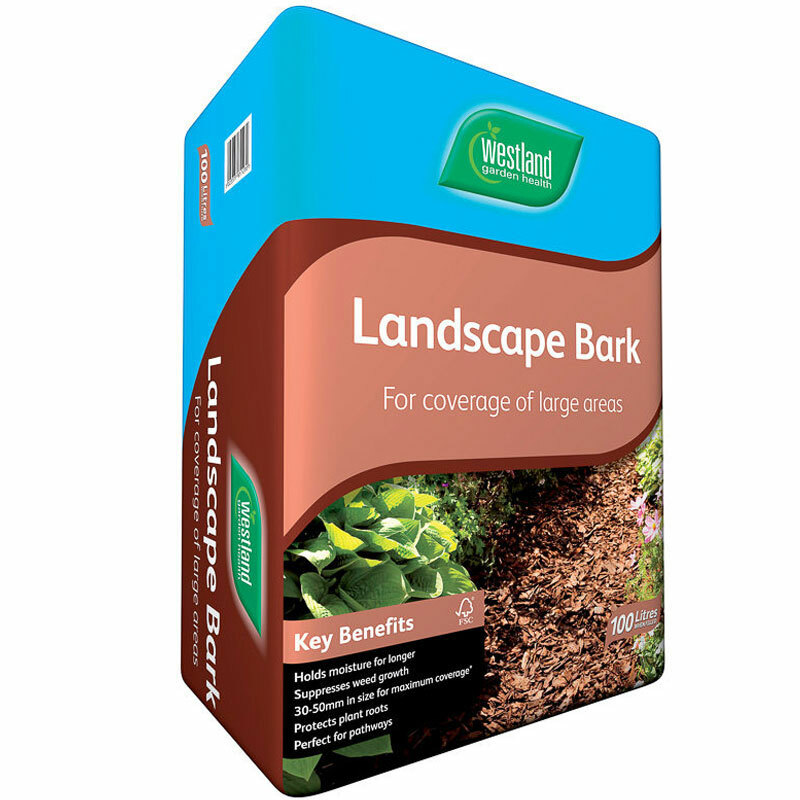 Westland Landscape Bark 100ltr Bale suitable for creating low maintenance mulch for beds & borders, by reducing the need for frequent weeding and watering. Westland Landscape Bark is ideal to create a rustic natural looking ground covering in gardens. Westland Landscape Bark is produced from responsible conifer plantations which are grown for the timber industry and are certified by the Forestry Stewardship Council (FSC®). 30-50mm large chips for maximum coverage which aids moisture retention around plants, and suppresses light to prevent weed growth. Ideally recommended for coverage in larger garden areas or pathways.